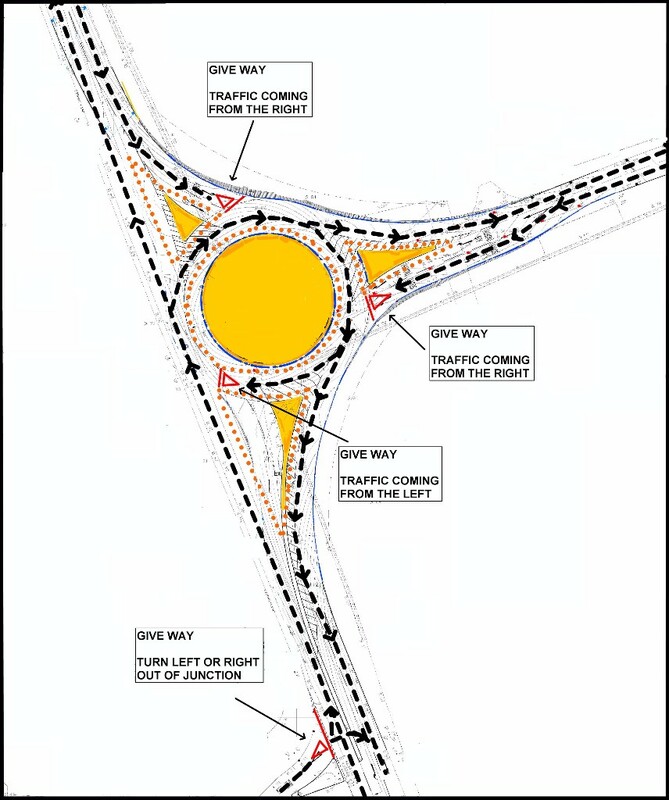 Many of you will have noticed that a few changes have taken place to the initial traffic management layout since the traffic was re-routed around the roundabout. This was required to improve traffic flow and increase driver awareness of the correct route and give way positions. This current traffic management layout is now working well and will remain in this layout for the next couple of weeks. The diagram below illustrates the current layout which has been agreed in conjunction with NYCC.